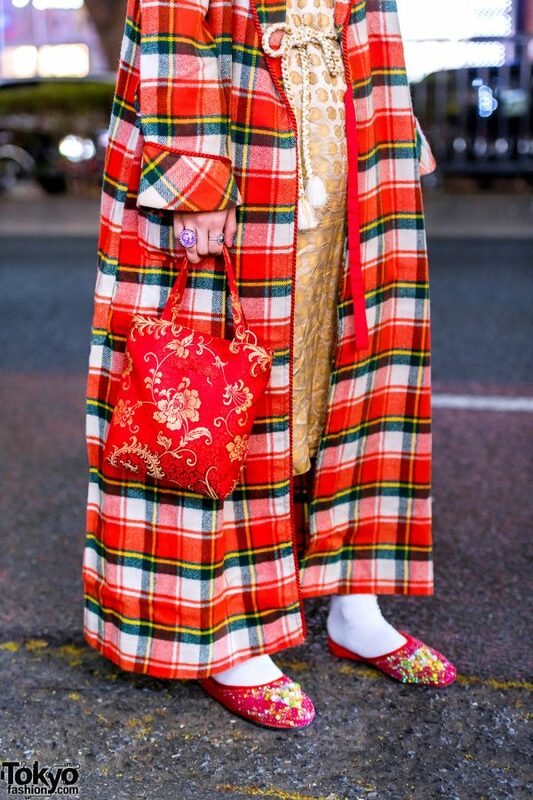 While out on the Harajuku street one fine evening, we spotted Nanami, a 20-year-old student whose retro vintage street style easily caught our eye. 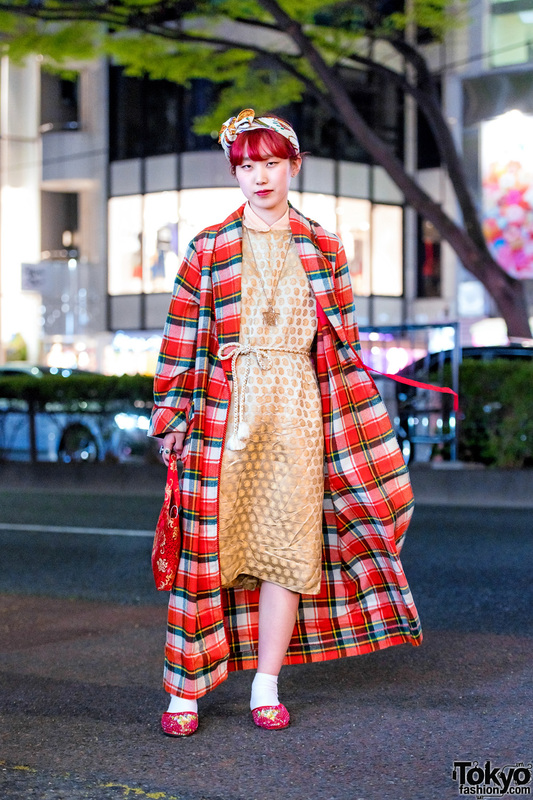 Nanami stepped out dressed in a red plaid long coat, which she wore over a gold satin paisley print dress and a peach peter pan ruffled collar top. 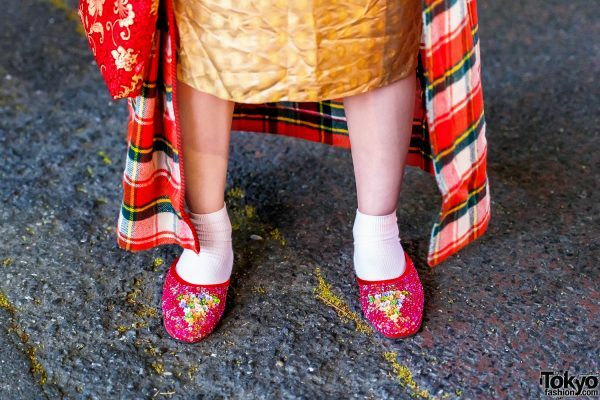 White socks, pink sequin ballerina flats, and a red Chinese-style floral print tote bag finished off her look. 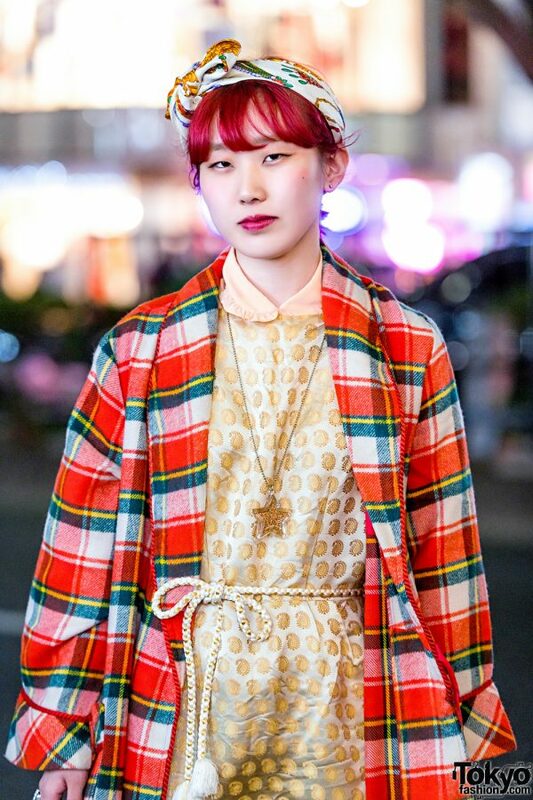 Nanami swept her red hair up in a bun, styled it with a silk headscarf, and accessorized with a glitter star pendant necklace, a rope belt, and multiple cocktail rings. Nanami loves to shop at Punk Cake, and she likes the music of Spyair and Uverworld. Follow her on Instagram.